Today, 2 May 2016, this year's IB DP exams have started. 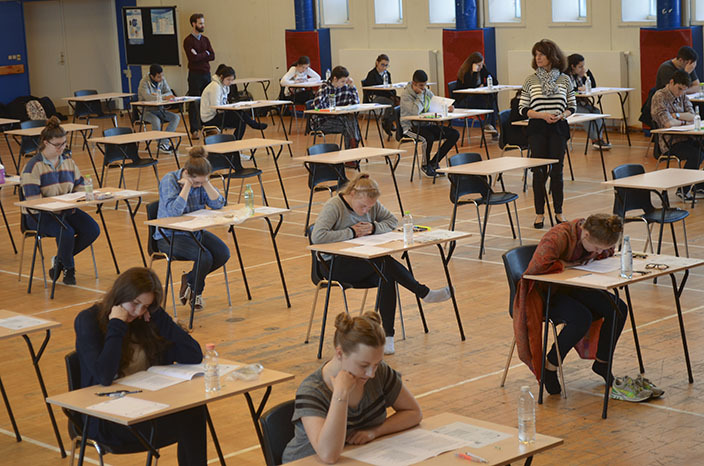 During the next 3 weeks, the air will be thick with concentration in the Assembly Hall while the 2nd year IB students will sit their final exams in all their subjects. We wish them all a good exam period and look forward to the Hat Ceremony on the last day of exams: 20 May 2016, when we will celebrate the culmination of their almost two years of studies and preparation.